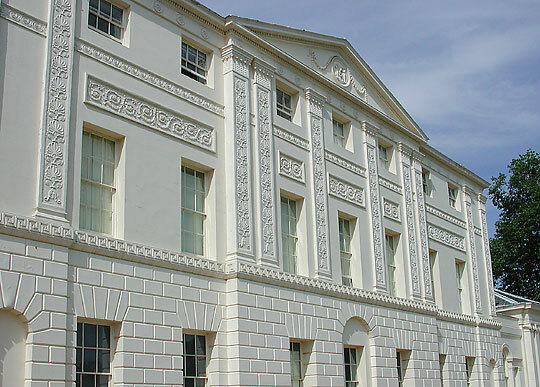 An earlier house was remodelled and enlarged in Neoclassical style by Robert Adam, 1766-74, for the 1st Lord Mansfield. 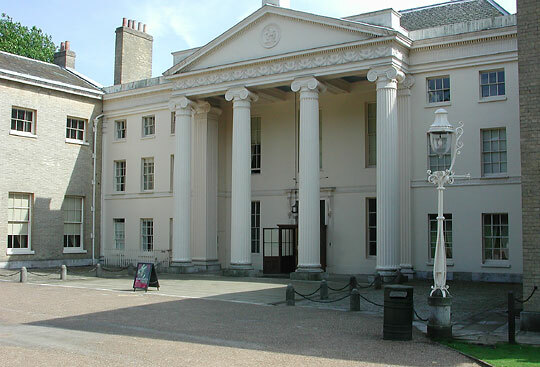 Two wings were added in 1793-6 by George Saunders for the second Earl. This front makes a great display. 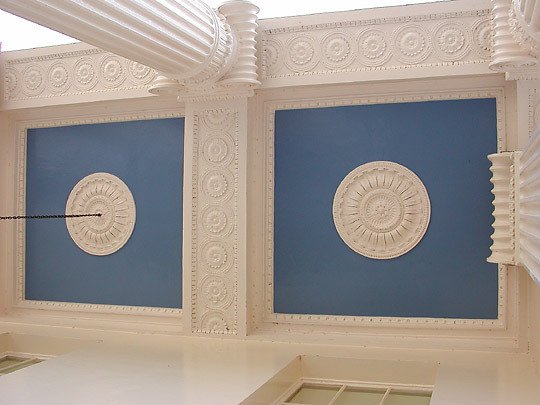 The nine-bay centre is of two stories with an attic (a late addition to Adam's scheme). 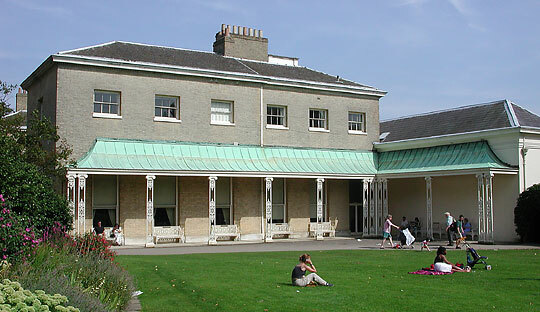 Giant pilasters above a rusticated ground floor, with centre and end bays emphasized by slight projections. 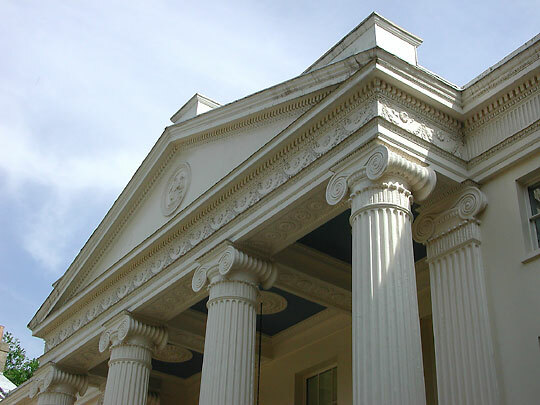 Two closely set pilasters for each end bay, and paired pilasters below the ends of the central pediment. 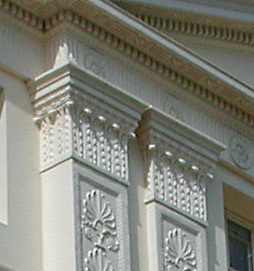 The delicate enrichment of pilasters and panels with Grecian honeysuckle and arabesques was removed after 1793, because Adam's patent stucco had begun to decay, but in 1975 it was restored very successfully in fibreglass, following a drawing in the "Works" (by Adam 1774). 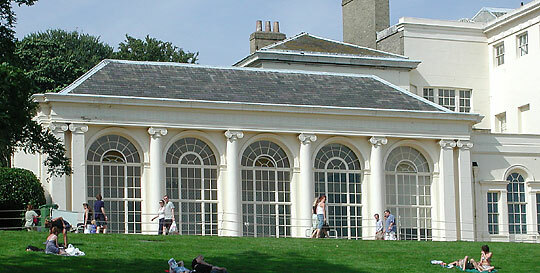 The one-storey orangery and library have windows within arches framed by Ionic columns, originally fluted.